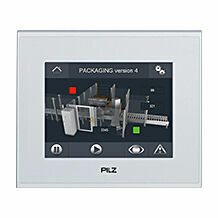 Operator terminals PMI (Pilz Human Machine Interface) are used to operate, monitor and control your technical processes. We can offer you a wide range – from a simple diagnostic unit to an operator terminal for challenging applications. 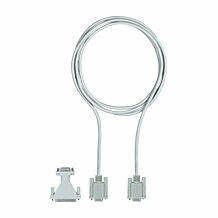 Our compact operator terminals offer maximum functionality. 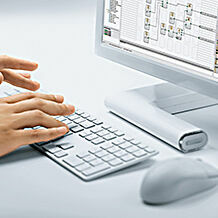 They are easy to integrate into your production and automation system. Good visualisation and diagnostics also mean shorter downtimes and therefore increased cost effectiveness. When an error occurs, diagnostics on the machinery play a special role. 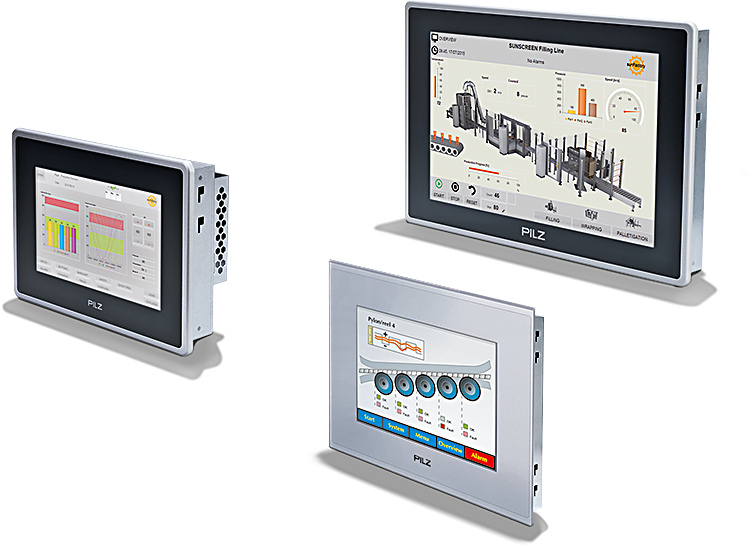 Used in conjunction with Pilz control systems, you get a system that enables rapid troubleshooting when production errors occur. Do you need comprehensive diagnostic functionalities? Then you should use our diagnostic concept PVIS or the visualisation software PASvisu! 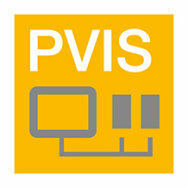 The PVIS OPC Tools give you access to the diagnostic solution PVIS based on standard software interfaces. It can thus be integrated into almost any environment. 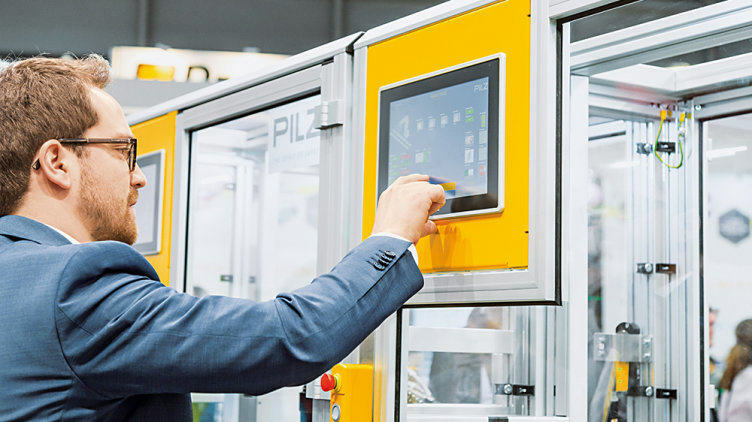 From power connector to programming cable: Pilz has a range of accessories for your HMI diagnostic units. 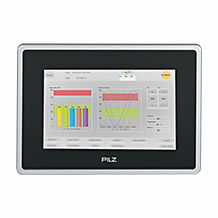 A SCADA software package is available to visualise your plants. 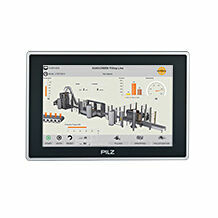 Integrate the high-performance panel for professional visualisation of your plant and machinery – incl. visualisation software!